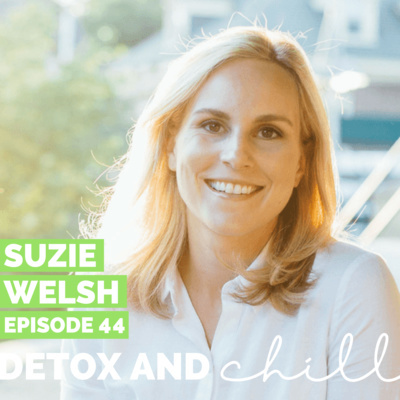 The Detox and Chill Podcast is a lifestyle podcast based in Boston. It’s our mission to share how we pursue our passion for wellness while balancing our real-world corporate jobs! It’s a place where green juice and wine are interchangeable and nothing is off limits. Instead of finding yourself down an internet black hole, we’ll be bringing the experts straight to you so that your burning questions can be answered. This episode gives us chills. You know when you set huge goals for yourself and worry whether or not you’ll actually make it across the finish line successfully? We’re not going to lie fam, we felt SCARED about last Thursday’s event. And we were absolutely, positively amazed by the positive response we received. Honestly, to say we are floored is an understatement. 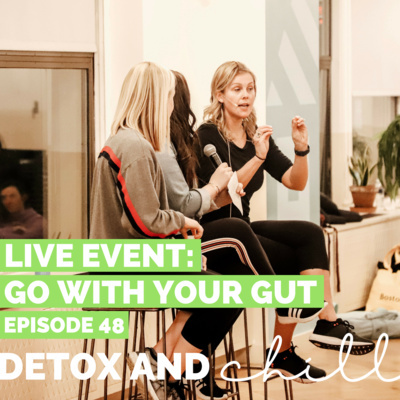 THANK YOU to each and every one of you for coming to our Go With Your Gut event last night, featuring the amazing Charity Lighten and Silver Fern brand. We truly couldn’t have done it without our wonderful sponsors — shoutout to Silver Fern, WeWork, AquaVitea, Four Sigmatic, Dig Inn, Busy Beauty, Lauren B Beauty, Chosen Foods, Beekeeper’s Naturals, Wildbrine, Jinjur Drops, and True Moringa. What a lineup! Final thoughts as we head into the week: 1. YOU are in control of how you feel. No one else. 2. YOU are powerful, beautiful, and resilient. Let’s take these positive vibes, keep them rolling, and get after it! Remember to use code DETOX15 for 15% off of your Silver Fern order. We’d be honored if you took the survey HERE, so we can keep these events coming and do more of what YOU want! We love you guys. Our hearts are full. We are so humbled. Xoxo, Meg & Beck Where to Find Us: Find Silver Fern’s website HERE. Follow Silver Fern on Instagram HERE. Follow Charity on Instagram HERE. 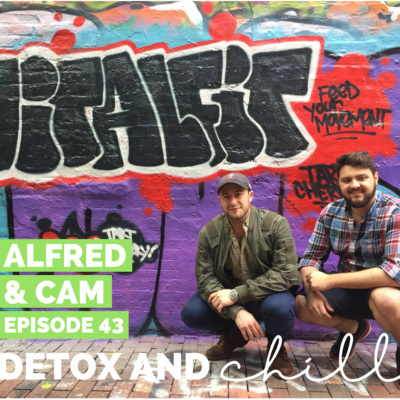 Follow Detox & Chill on Instagram HERE, check out prior episode HERE and join our facebook group HERE. This week’s episode is a good one, and a timely one. We’ve spoken about it on previous podcasts, but we both attended The GoodFest in Philadelphia this past fall, and had a truly transformative experience. 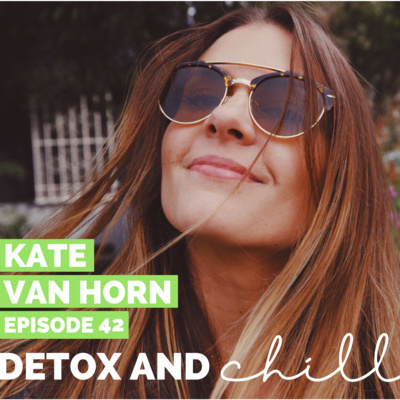 We are so excited to share that this week we have Kate Van Horn on the podcast, who is one of the founder’s of The GOOD Fest, among many other things. Kate is a Yoga Instructor, Blogger, and wellness entrepreneur currently living in LA. You wouldn’t guess it from talking with her, but Kate has been through some tough times in her life and we were honored to be able to talk about these things with her. 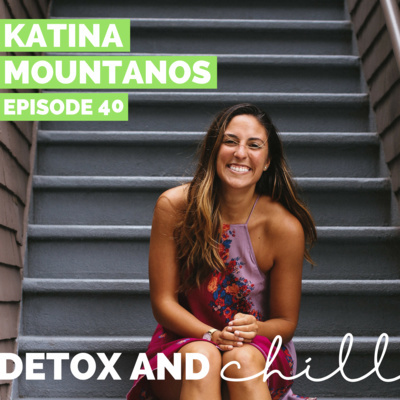 In this episode we talk about… - Trauma and healing, - How trauma can affect you as a person in relationships, - Different forms of therapy she did to work through it, - The work she did to start the GoodFest and, - Taking a leap of faith and moving to a new city. We are so proud and excited about this episode and are so excited to hear what you think - let’s start normalizing these conversations together. We’d love to continue this conversation in our Facebook group and on Instagram. Our Facebook group is a safe space for anyone who joins, so don’t forget to check us out there. Just search *SUPER EXLUSIVE* Detox & Chill Podcast Group. 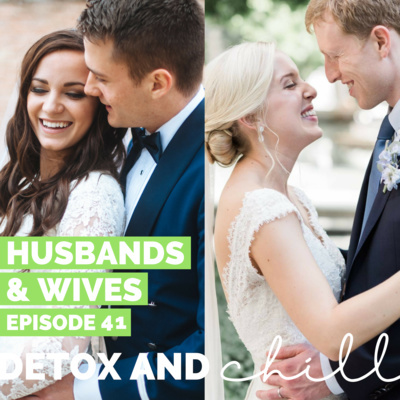 As always, don’t forget to follow along with us on Instagram (@detoxandchillpodcast) and join our Facebook group. We love you! Don’t forget to follow Kate on Instagram here, find her website here. You can also find the GOOD Fest here! Have any of you felt like you’re “stuck” in your corporate career or there’s something out there you’re way more passionate about? 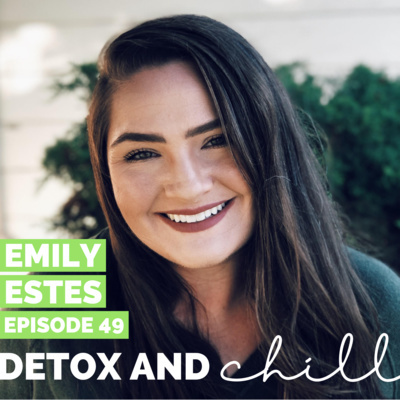 In this episode we talk through those feelings and Jenn shares some exciting news that she recently quit her corporate job to become a health coach! 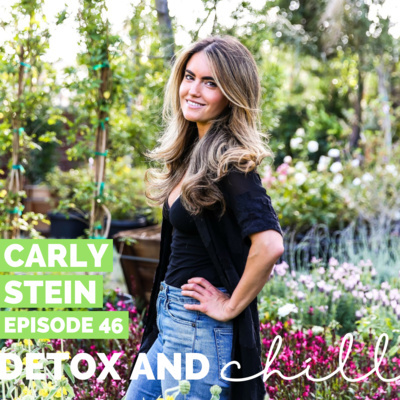 We also focus a lot on intuitive eating in this episode and we talk about transitioning from restrictive eating to intuitive eating. It’s definitely not a linear process & it’s one that requires constant work. Shannon Noel is the founder of Noel’s Herbals, based in Somerville, Massachusetts. Shannon has been a practicing skincare therapist for over 13 years. Her love for natural health and skincare have brought her to the idea of helping people from the inside out. What you put on your skin is just as important as what you put into your body. ”Self care is not just about the outside products that we interact with, but how we can feed and nourish our souls." Michelle is the mother to 2 young boys and recently launched a natural skincare company inspired by the beauty rituals of Indian Royalty. 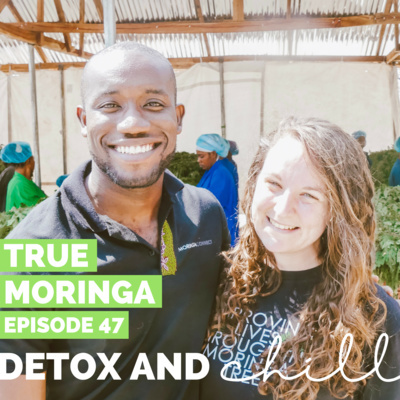 In this episode we talk about… -How she started her brand; -Her vision for the ingredients and how her background in engineering made product development seamless; -A typical day in her life; -Her thoughts on motherhood; -What products are next for her brand. You can find Michelle and Ranavat Botanics at www.ranavatbotanics.com or on Instagram @ranavat. Hi SQUAD!! Happy MONDAY! We hope you all had an amazing weekend - we actually did a little romantic getaway (jk, kind of) to brainstorm what's coming next for the podcast and the amazing things we want to bring you this upcoming year. Something about the fall just screams for a fresh start and refocusing and that's exactly what we're doing. Stay tuned for some fresh content and different guests — we're so excited. For today's episode, we have the AMAZING Lauren Berkovitz, the founder and CEO of Lauren B. Episode #4: Kara Lennon // Fitness Instructor & Podcaster // Changing Careers & Coming in Hot! Kara Lennon is an elementary educator turned full-time fitness instructor in Boston. She exudes positive energy and makes you want to say, "F*ck it" and create your own path. She loves a good margarita every now and again, but has a deep passion for helping people and creating a space of honesty and #realtalk. You can sweat with her at B/SPOKE Studios in Downtown Boston, Wellesley, and Cape Cod!! What is the difference between eating disorders and disordered eating? What can you do to help a loved one overcome disordered eating? How can you get the help you need if you are struggling? And common misconceptions surrounding disordered eating and eating disorders. We also talk about poop and proper etiquette at work. So, there's that.